Find a Fuel Supplier is, in essence, a price comparison site. It is our aim to connect buyers with suppliers so that they get the best deal on their heating oil, or red diesel, or peat briquettes. Today, the BBC web site posted an interesting article about consumers lack of trust in some comparison sites. Indeed, one consumer group has made calls for price comparison sites to be regulated, and that is something that this site would support fully. 1. Who owns the site? If it is owned by a fuel supplier – how impartial is it? 2. What happens to your data – does it get shared? So, since Friday November 16th, we have seen oil rise by, give or take, 3 dollars a barrel. This has been caused, in part, by the massing of Israeli armour on the border into Gaza, and a fear of a ground war that could drag other middle eastern countries into the conflict, but also due to better than expected financial data from the US and China. Perhaps most importantly, however, there have been positive signs that the fiscal cliff in the US will be averted. On Friday, President Obama held a meeting with senior Bigwigs from both the Democratic and Republican parties and all factions reported that the meeting had been constructive, and that they expect to find a resolution before January. For those of you, who are unaware of the fiscal cliff issue – it’s a $600 billion mix of tax rises (or more accurately the ending of Bush era tax cuts) and spending cuts that could tip the U.S. economy into recession (thus dampening demand for oil). The fiscal cliff is top of most fund managers and traders concerns right now, and everyone is holding their breath to see if the politicians can sort it out. If the fiscal cliff happens, we should expect to see the price of oil drop sharply. So, bringing ourselves back to today – where will oil go? Well, on one hand, the demand fundamentals are still pretty weak – so we should be seeing a reduction in prices. On the other hand, the conflict in Gaza is supporting prices. If any significant happenings occur in Gaza (ground offensive or ceasefire) – oil could shift markedly in either direction. One pundit on Bloomberg, yesterday, suggested that +$5 per barrel was possible if Israel invades. So, “volatility” is today’s word-of-the-day – prices are moving around faster than a hummingbird on speed and those of you who are looking to time any oil or heating oil purchases on the back of market movements… well, it could go either way. We are now two days into the Israeli action on Gaza, and the pattern behind the price of oil has become a little clearer. When the action first came through on the news wires, there was an immediate surge in prices as speculators became worried that supply from the Middle East might be constrained. However, as some older and wiser heads noted – we have been here before – and after a few hours of large gains, the price began to fall back slightly. On Thursday, a whole slew of negative economic data came out, including the fact that the Eurozone had re-entered recession. Some US manufacturing data also disappointed, dropping much more than many pundits had predicted. When this was combined with what was happening in the middle east (where the threat of an immediate ground war had receded and a ceasefire had been called) – oil dropped signifcantly in early trades on November 16th. So, what can we surmise? If the situation in the middle east remains fairly constant, it should not have a significant effect on oil prices and the markets will look more towards economic data to drive prices (and this data is very negative at the moment). However, if Israel does launch a ground war, or if the country’s neighbours get embroiled in the affair – we can expect to see raised nervousness on the markets and a likely increase in prices (despite low global demand and high global supply). This is becoming a well-worn theme here at Find A Fuel Supplier but it’s an important one – heating oil theft is real, it’s happening, and people need to be alert and alive to it. In the last two days, both Dyfed-Powys Police and Essex Police issued warnings about heating oil thefts. Inspector Alan Millichip of Dyfed-Powys Police said: “Given the current high price of fuel it’s highly likely that fuel thefts will increase and we’re continuing to see a spike in this type of crime in the county. 1. Camouflage or disguise fuel tanks, if possible, so that they are not visible from roads or highways. You can use trellising, or hedging, or large potted plants. Something is better than nothing. In turn, if your tank is sited in a really obvious place – seriously consider re-siting the tank into a less obtrusive position. It’s not necessarily an expensive action. 2. Install security lighting or gravel around the tanks so that you are alerted to any movement around the tank. 3. Work with neighbours and other members of the community to keep an eye out for each other. Neighbourhood Watch Schemes are valuable here. If you go away on a trip, or holiday, specifically ask someone to actively watch out for your property. 4. Ensure that your tank is physically secured. There are specialist locks you can purchase and some insurance companies won’t pay out on an oil theft unless these high quality locks are used. Check with your insurance company what physical security they require. In turn, there are also alarm systems that can be purchased – some of which can send warning texts/calls/emails if disturbed. 5. Observe and report suspicious vehicles. Especially large unmarked tankers. The old adage ‘better safe than sorry’ makes a lot of sense here. If you report a number plate, the police can look out for a vehicle – it only takes them a couple of minutes to ascertain whether the vehicle is legitimate. Most drivers won’t mind taking a couple of minutes out of their day to answer questions and help bring about a safer community. 6. Check the oil level of your tank regularly. If your oil is stolen, but you think the tank is full – you want to alert the police as soon as possible. In turn, you don’t want a cold house because the boiler won’t fire because the tank is empty. There’s an interesting article in Farmer’s Guardian this week about rural crime in Lancashire and, in particular, the theft of red diesel. He explained diesel is high on thieves’ hit lists. “Gangs will creep across fields and attack farms,” said PC Leivers. “They stab the tank and put a drum underneath. “They’ve become wise to syphoning off diesel because they know if they get stopped by police with a tube and a container, they can be charged with going equipped for theft. If they take along a screwdriver, they know it’s less likely. Oil prices decreased to under $86 per barrel yesterday as Hurricane Sandy hit the East Coast in the US. This area is densely populated and due to the chaos that the storm will bring, energy consumption was predicted to fall as businesses and organisations closed and transport services were shut down. On the New York Mercantile Exchange, electronic trading put the price of a barrel of oil from $86.28 a barrel to $85.88 a barrel, a reduction of 40 cents. As crude oil prices fluctuate depending on market demand and supply, an external factor such as severe weather conditions can influence the price of crude oil. There are forecasts that Hurricane Sandy will cause flooding as well as power failures. Therefore, demand for oil as a source of fuel will fall which will lower the price of oil. There are a number of oil refineries that may be affected by Hurricane Sandy, but America has a good supply of oil in general. The storm is expected to go through New York City which will have an enormous impact on residents, businesses and transport services. People have already been told to evacuate the city to avoid the devastation that the hurricane will bring. Airports in the city have also cancelled thousands of flights that had been scheduled for today. Trading floors at the New York Stock Exchange and the New York Mercantile Exchange were closed yesterday. Electronic trading was open but was shut earlier than usual. Brent crude was priced at $109.27 a barrel yesterday, a decrease in price by 29 cents. The stock market performance in Asia and Europe were lower yesterday which may have attributed to the change in prices of oil. However, the price of heating oil in the futures market in New York increased by 1.52 cents to $3.0916 a gallon yesterday. You can find the latest fuel prices, including heating oil prices, listed on the Find a Fuel Supplier website. In today’s post I thought I’d bring you up to speed on what is happening here at Find a Fuel Supplier. As you will have noticed when looking around the site, Find a Fuel Supplier aims to offer something quite different to the fuel buying market. Instead of taking a commission from fuel suppliers on any sale made, we aim to remain completely independent to the transaction and can therefore offer complete transparency on any deal. Many of the other fuel comparison sites take a cut on any transaction made and we think this blurs the line between acting in the consumer’s best interests and helping suppliers offer the very best deals for buyers out there. In essence, FAFS is a marketplace where suppliers can post their best prices as often as they like, and where consumers can search for different volumes, of different fuels, in different parts of the country. So, what stage are we at? FAFS is currently actively engaged in signing up new suppliers to the site. It’s completely free to list your prices here right now. The comparison engine is complete (adding new functionality daily) and we’ll soon be rolling out exciting new stuff! If you are a supplier, or know a supplier who would benefit from being on the site and reaching oodles of customers – please email James@FindaFuelSupplier.co.uk and we’ll get things sorted out pronto! 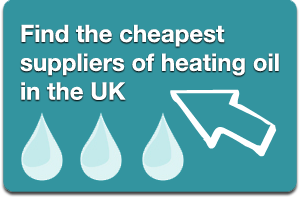 Across the UK many heating oil consumers are being warned by their local council that they need to protect their heating oil supply from spilling out into the environment to evade a hefty fine. In Yorkshire, recently, it was found that a heating oil supplier had delivered fuel to a tank located next a school, soon after the tanker driver left oil was found to be leaking from the outflow pipe of the tank and into the watercourse. The fuel then dispersed via drains and riffles in the water body, the pollution from this source was visible up to 10 miles away. An investigation was carried out and it soon became apparent that the tank that was leaking was from the school whom were storing fuel in preparation for the approaching Winter period. The heating oil was going to be used to power the central heating. As a result on the 21st September 2012 a court hearing took place which saw the Environment Agency (EA) fine East Riding of Yorkshire Council £18000 for polluting the inland fresh waters. Tracey Thompson, who is an Environmental Office for the agency, stated that she is overwhelmed that this issue has now been addressed as the impact of the spillage could have had a detrimental long term impact on the wildlife relying on the watercourse. She followed on by stating that this should be an example to businesses and why they should take their environmental responsibilities more seriously. As a result of the spillage the council is now surveying all of its heating oil storage tanks to make sure they are not leaking or posing any environmental threats. As well as local councils, it is also important for homeowners who have stocks of heating oil stored away in preparation for winter to be vigilant about spillages on to the surrounding land. David Hutchinson a spokesman for the agency’s environment management team said it makes complete sense for households to come together and negotiate better heating oil prices but we don’t recommend people ordering more heating oil than they can store in a safe manner. It’s not all that often that stories from across the pond reach the desk of Find a Fuel Supplier Towers but this story caught our eye as it could easily happen here. A man in Long Island, USA, was caught stealing heating oil from the tanks of repossessed / foreclosed homes in the little hamlet of Mastic in Suffolk County. He was caught when a local town employee got suspicious whilst talking to him outside one of the target properties. The town has filed charges including the illegal transportation of oil and not having the requisite hazmat signs. It’s unclear whether he’ll face theft charges. We raise this particular case to remind readers to secure their oil tanks as best they can and to keep an eye out for suspicious activity. We live in tough economic times and stealing a thousand litres of heating oil is a big prize for criminals although how they would plan to sell their ill-gotten gains is another matter!